One of the benefits of living in Northwest Indiana in the fall is the local orchards! There are a number of them here along the southern shore of Lake Michigan, but the closest orchard to our family is County Line Orchard in Hobart. Recently, my sister and I, as well as our four kids (ages 11-13), headed out to County Line for a fun Sunday afternoon outdoors. 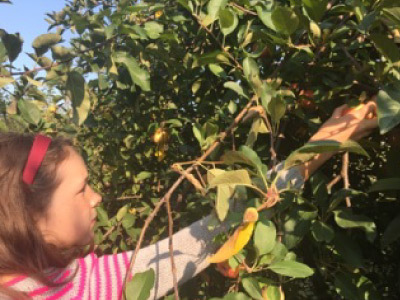 County Line Orchard has become extremely popular during its short open season. To accommodate all the visitors, their staff and operation has become a well-oiled machine, moving guests through the lines quickly so they can enjoy their day. On weekends, as you approach the orchard driving down County Line Road, you&apos;ll see local officers directing traffic and crosswalks. Just passed the main building, you&apos;ll find the check-in shed where you can get different level passes or pay for individual attractions. For a chance to enjoy a fun day outside with the family, the prices are pretty reasonable. All passes are at most $10 per person and apples are less than $2/lb. 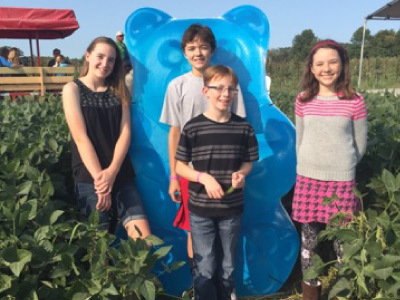 For our gang, we all got $7 Explorer Passes which includes the u-pick, tractor rides and mazes. 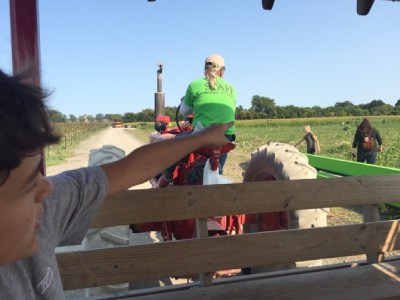 We checked out, got our u-pick bags and maps of the orchard and headed towards the tractors to hitch a ride. We decided to visit the mazes inside first. 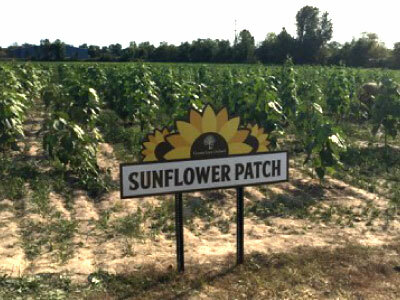 We jumped off by the sunflower patch and walked over to the mazes. 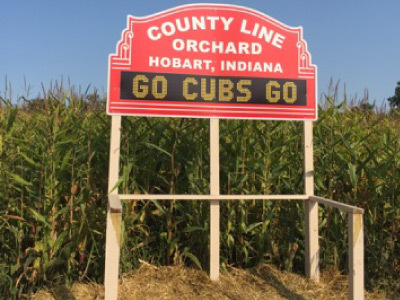 We chose to go big first and ventured into the corn maze honoring the Cubs (go Cubs go!). There are numbered Cubs facts at checkpoints along the way with a hole-puncher attached to each one. We realized after we got through the maze that you can track your progress on the map we got when we checked out. Now we know for next time we go! The kids decided to split up with us and see if they could beat us through the maze. My sister and I found ourselves popping back out where we started quite a few times, but we finally caught up with the kids. Next we walked across to the Albanese Candy Factory soy bean maze. The plants are short enough so you can see each other over the top - great for little kids! 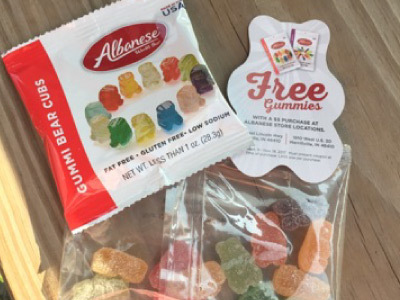 We all loved the added bonus of getting gummies and a coupon for Albanese when we came out. After the mazes we hitched a tractor ride over to the orchards. You&apos;re free to wander down the rows of apple trees and take your pick. Each section is marked off with what kind of apples are growing and you get a chart in your map of when different kinds are usually ripe. It was mid-September when we went, so we mainly picked Gala and Honey Crisp. My daughter has been begging me to go back for Snow Sweet, which she had last year. 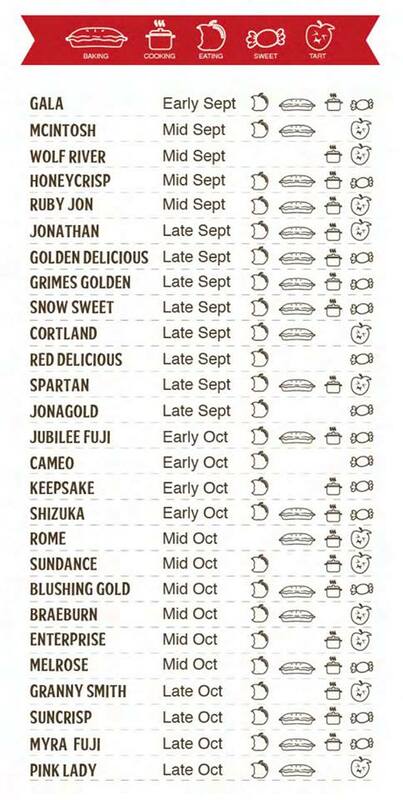 They are usually ripe late September, but I&apos;ve been checking their facebook page for apple updates and Snow Sweet hasn&apos;t shown up yet. Hopefully soon! You can also call them at 219-947-4477 ext 2501 for apple updates. With our bags full of apples, we decided to check out so we took a ride back to the big barn. Inside you can purchase everything that&apos;s great about fall - their famous apple cinnamon or pumpkin donuts, pre-bagged apples, pumpkins, sunflowers, fruit pies, apple butter and a lot more. They also have a Sweet Shop serving ice cream and the County Line Kitchen if you need lunch while you&apos;re there. As the Culver&apos;s maze is right next to the parking lot, so we thought we do after dropping our loot in the car. 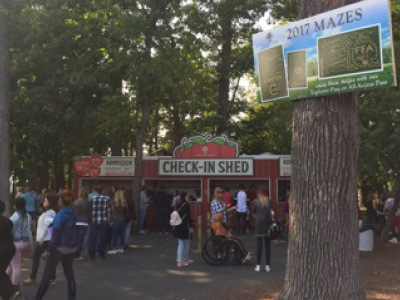 Unfortunately, you have to have to enter the mazes a little over an hour before they close and we stopped there 30 minutes before. Leaves us something we can do for when we go back for the Snow Sweet apples and pumpkins! 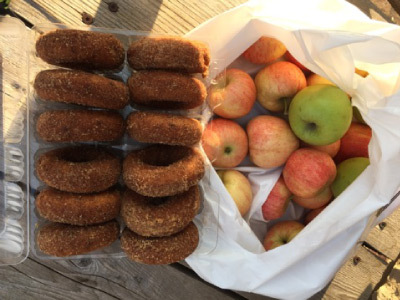 Altogether it was a fun, relaxing day outdoors with the family ending with delicious apple cinnamon donuts for the car ride home. If you have little kids with you, make sure to check out County Line&apos;s Moo-Choo train ride and Kids Farm, too.